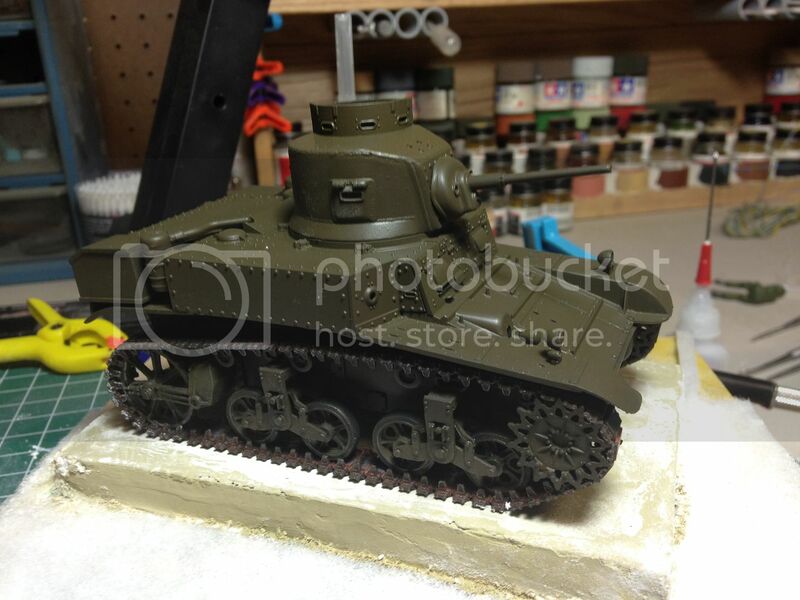 Im in..... 16$ kit at hobby show, Tamiya M-3 Stuart. Brian, this campaign has NOT stated yet. Start date is by 2015-02-20. I´d greatly apprechiate if you still enlist and join us in February next year with another kit. That was the plan! Should be educational. I thought the total build price had to be $20 or less.? Sorry if there has been confusion. Current and final limit (as stated in the rules and regs) is 20€, 25$, 20£ or a simmilar ammount of any other currency you can buy kits for. 20 US dollars originally mate. Work out the exchange rate to Australian dollars ! I will join with a Tamiya Marder 2 which i picked for 10.50 Swissies which leaves me wth enough room to add a Metal barrel for 9, should be a fun campaign. you got guys coming on here with Tamiya kits that have a "market value" way above $20 ...so...is that acceptable? I thought this was for $20 cheap kits not kits that are obviously worth more than $20. I'm going into this one with the understanding that "cheap" means here that I have paid under $25.00 US (or is it $20.00 US? )for the kit and goods purchased for the build. As versus spending the sometimes much larger amounts some folks do - both because the base kit cost more, and the AM added lots of cost on top. That's my understanding of this campaign idea: What I PAID for the kit and goods for the build. So... What is "worth"? What makes any given kit "worth" x - amount? Certainly not some stated "MSRP"! By that measure, I doubt I have EVER paid anyone or any company what their kit was "worth"! Consider; you go to DragonUSAOnline.com and buy one of those Daily Special kits for $23.99 - sale-mark-down from D-U-O's "usual price" of $49.99. What is this kit worth? If I bought it at the sale price, guess that's its worth to me! I'm sure that we'll see kits here that the manufacturers (and maybe the first retailers) originally sold for (or hoped to sell for) way more than $20 or $25 US. Now they are cheap stuff stuff from sales, show vendors, eBay, etc. Heck! That's certainly at least half the fun of this one, to me! Just how much kit can I bring to the bench for the allowed max? Who said that we were supposed to only use some old dog from the far past for this? IF that's the real intent - to bring out some old and funky thing (which may have been cheap - or not - back then, but likely commands almost no price, today)... I can certainly do that one, too! Got some of those hidden in the back of the closet! Bow wow! Want that for a campaign? Tired old known-to-be-pretty-crappy kits from the BOD? Whatever kit you can find for less than 20€, 25$, 20£ or a simmilar ammount of your favourite currency, can take part. I think this one is really being over-thought. The two angles to this one are 1) the builder got their kit for a great price. 2) it's an old inexpensive kit. To be fair there are some potential red flags. Like a kit that was received as a gift. By that you could have someone pull up with a Tamiya Dragon Wagon or any new release kit that technically cost the recipient below the $25 threshold. Another are trades and deals at shows, between friends, and even points benefits from some online venders. And of course there are kits that were bought at full retail but since have dropped in price (ex. Academy Humvees). The flip side are kits that might have been bought in the 90s for $18-20 but now cost twice that (Italeri's older kits). And then there's the rebox of old kits like Ark Models and CyberHobby. There's going to be some honor system in place for some of this...especially cases where there's no receipt. I guess the best way to go is to simply ask. Like my entry is the Cyber Hobby Gaskin. You can find it for around $23. I found a copy at Hobbylinc for $14. In my case, I can link to the item entry or take a picture of the invoice. My kit, for example, was fairly inexpensive. However, I understand it to be a diamond, in the rough. You can score some good deals by keeping an eye on EBay(especially right after Christmas). 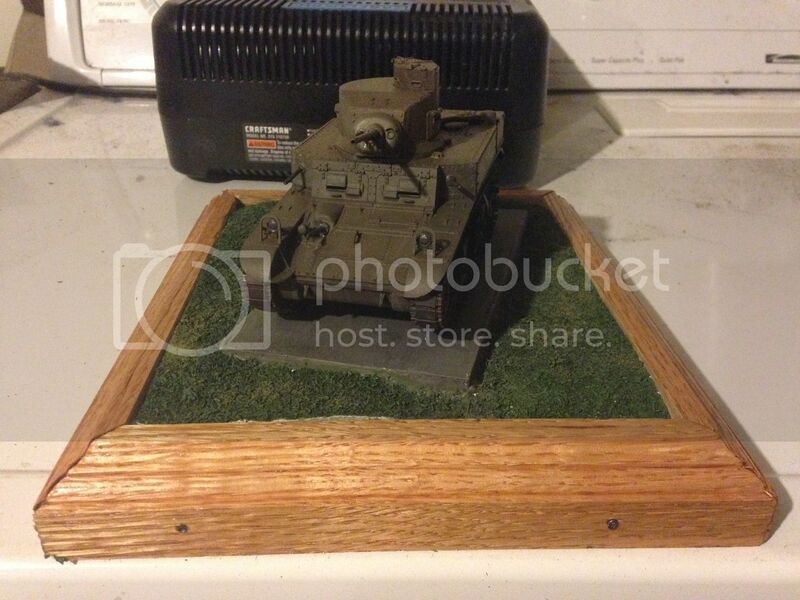 I recently purchased a Merkava III for $23, plus shipping. This does raise a question. Do you have to include shipping as part of the $25 value? I believe this would greatly limit the acceptable kits. @ Alex: Shurely, I haven´t asked for a recipt as proof, and I will not do so. Most of my kits in this range have been bought of other modellers... which are not likely to write bills. I fully trust you on this behalf, ladies and gentlemen. @Matt: to be honest, shipping wasn´t that much of an issue to me. You paid 6 quid shipping for an order with three kits, but only one of them is part of this groupbuild. How do you calculate the ammout that you have to inlude? Do you have to add 2 (6/3 kits), 4 (because it was the biggest box in the parcel) or everything? I´ll guess we´ll keep it simple and forget about the shipping. I agree. Not counting shipping has to be the way to go. Even if you buy at your LHS, there's likely still transport costs. *I* count shipping in my costs, but take my example. I bought the kit at a bookstore minutes from work, so to me, *no shipping*. But then, I still had to car and train it to get to work, so what percentage was 'work travel' vs kit delivery! I paid $20 that's all I know! I'm not sure if I'll actually manage to complete a build for this one with all my other campaigns, but I'll jump in and see how it goes--I love to grab cheap kits at the second-hand stores here in Japan. I will jump in this one, but haven't decided which model to use. And mine will really through a spanner in the works. I bought 10 Dragon/Trumpeter/Zvezda/Tamiya models from South Australia form a person that closed their store. Bought them for AUS$10. Then I had a mate who did the purchase for me, drive them to Canberra, approx 1200kms. His fuel and running costs of his car as delivery. So I am saying it cost $10. Mine will either be a Tamiya 1:35 Jeep or a new purchase just made of a Trumpeter Soviet Armoured Aerosan RF-8 for AUS$20, that should arrive next week. That's my point. You'd have to go with an honor system and take peoples' word for it. There are so many ways that these kits can be sourced for under $25. As posted, my choice has a paper trail but I know that doesn't apply to everyone. To be honest, I'm getting a kick out of some of these back-stories on how these kits were sourced. Likewise I'll enjoy watching some of the older kits get built. Well kids, after a few manhattans and some nostalgia Im in with an old Tamiya Chieftain MK.5. I recently cleared some very old boxes out of storage and in one was a miss mash of old twisted, melted, broken, enamel laden parts, one of which was a barrel from this kit. I recall trying to deal with tracks, how cool the moving turret was, basically how different it was from the planes I built. So Im going back to my roots, for $12 on Ebay it'll be a cheap trip down memory lane. And on the point of cash, lets just agree to try to stick with a budget build and have fun, this is a perfect opportunity to laugh at old kits, try some techniques we wouldn't dare on a "real" kit, and just enjoy a build for the sake of building. If we get lost in the best kit we can for "blank" we're loosing the joy. So lets have a blast making our own details, dealing with 30 year old moulds, tracks that are... really just awful, terrible creations, and have fun. And Matt, that thing is a beast! ok..I understand now. 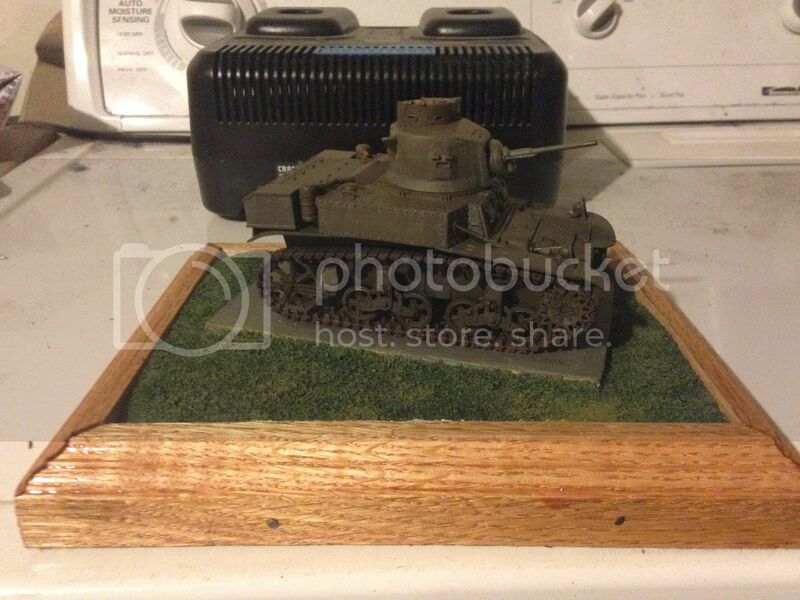 I got this Tasca Sherman for $20. Seriously, I did.